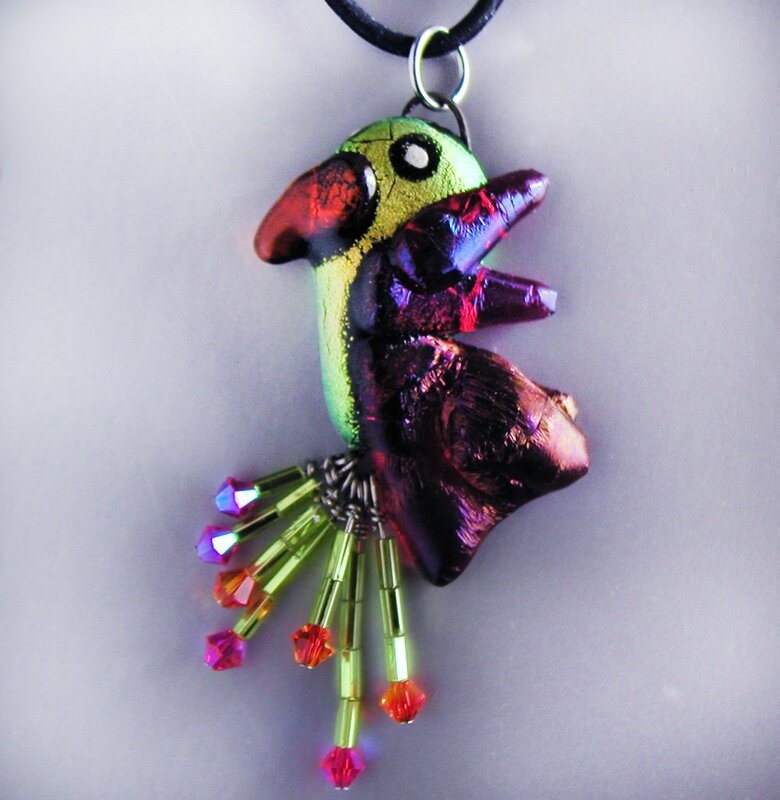 Whimsical Art-to-Wear Pendants are imagined and fused in the Magical World of FUFF. 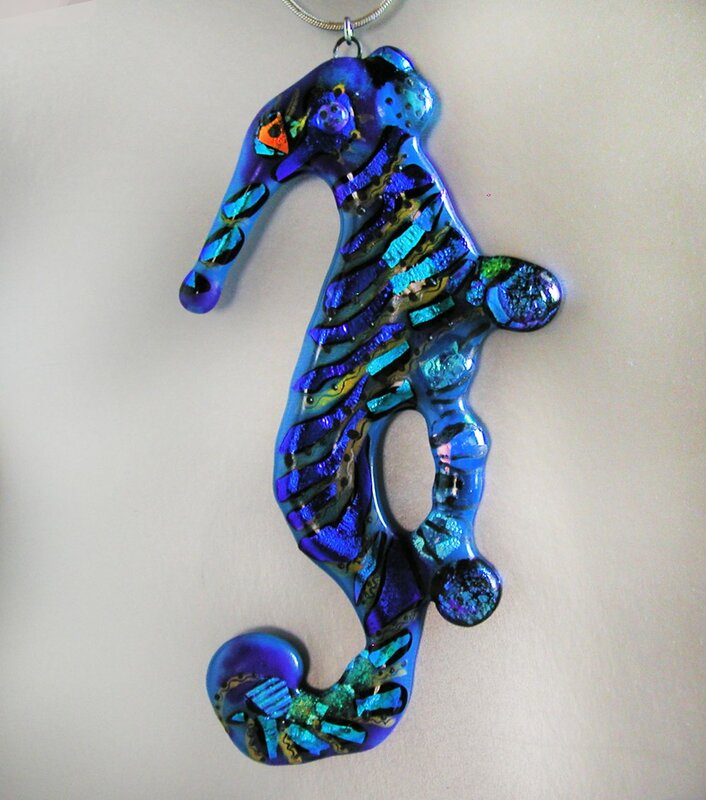 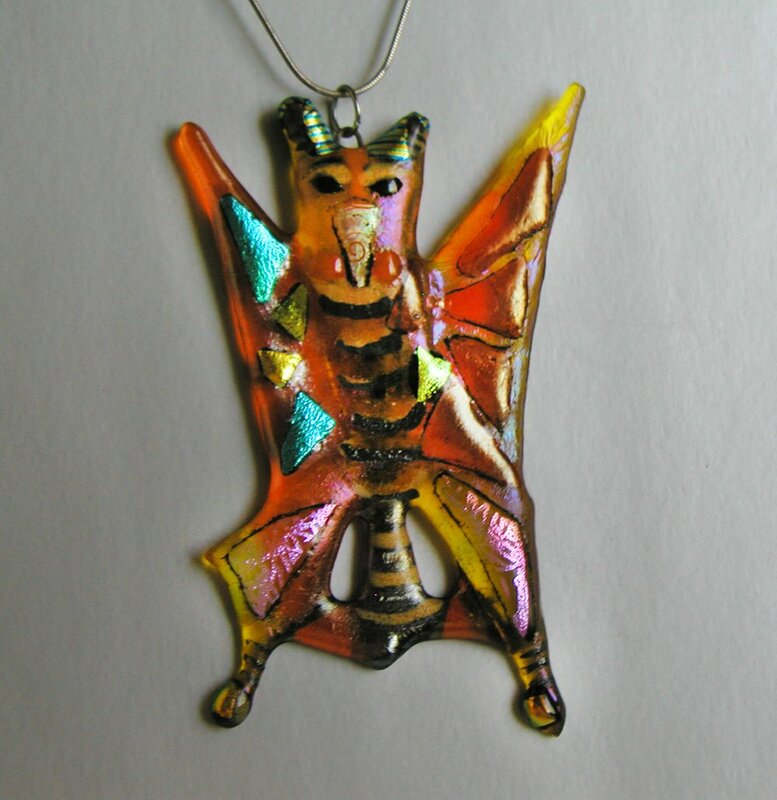 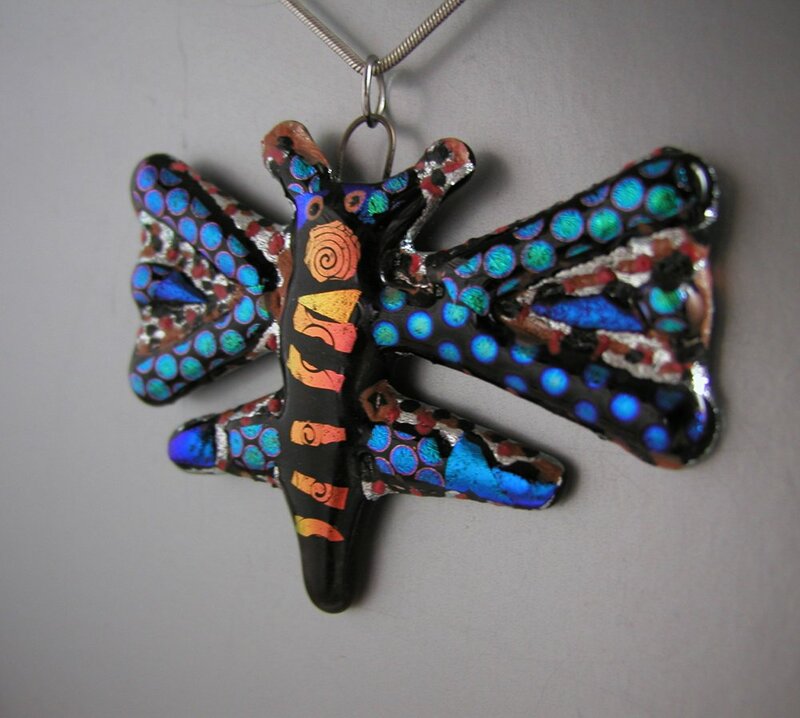 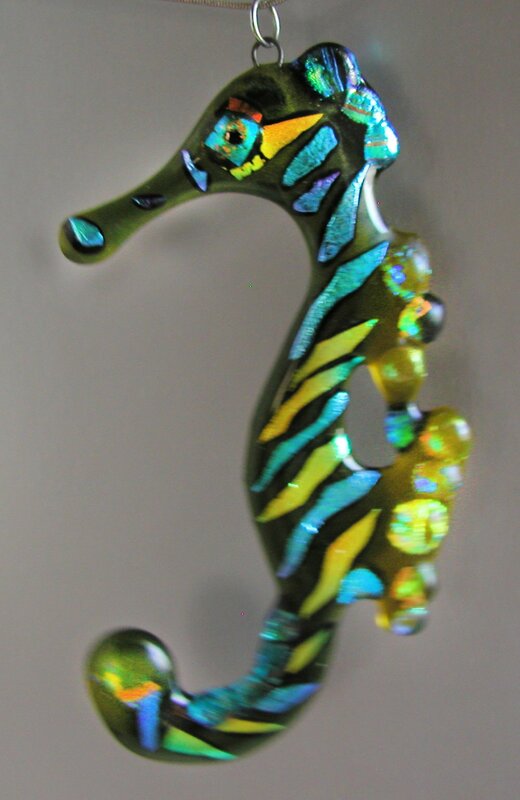 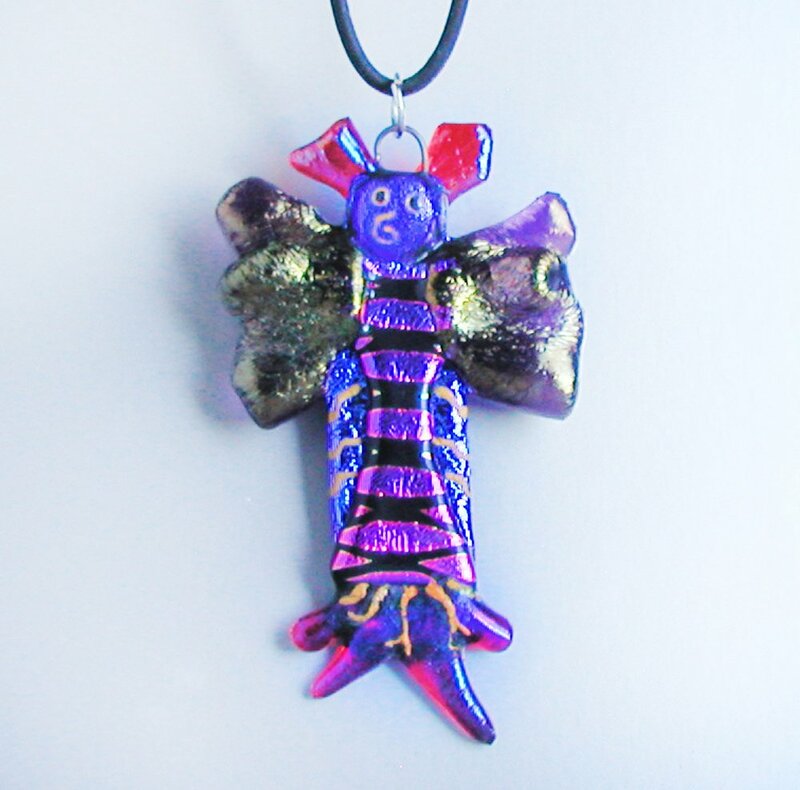 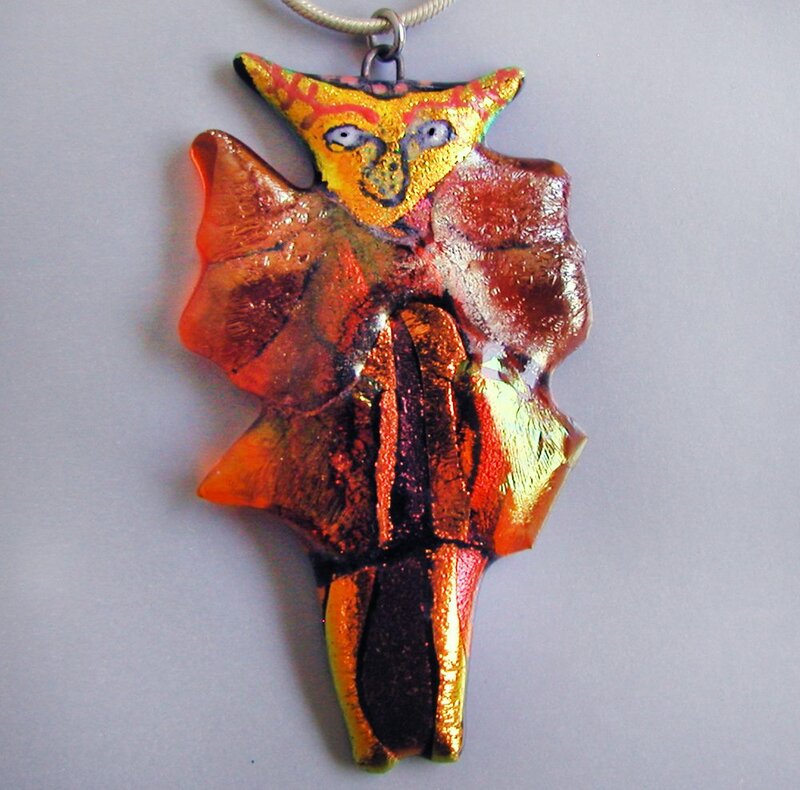 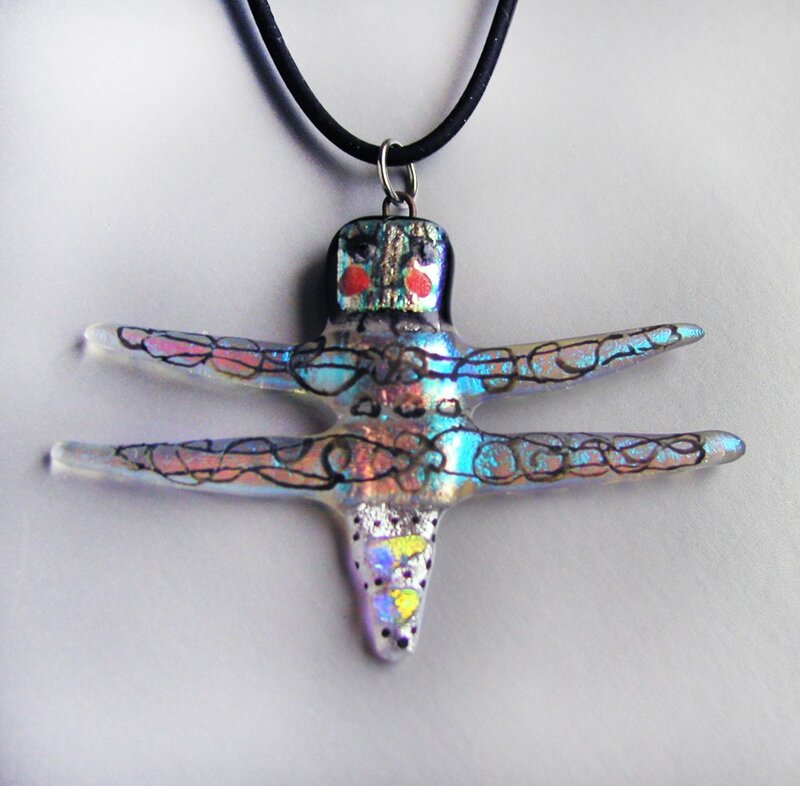 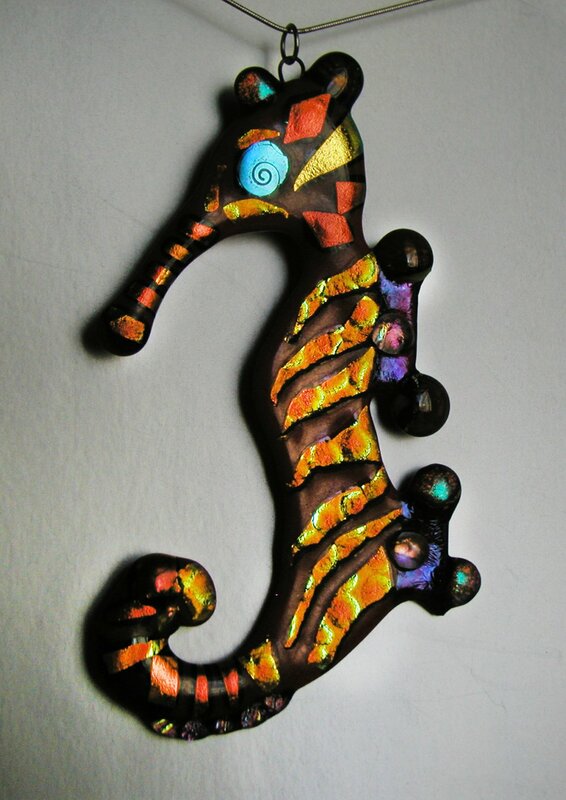 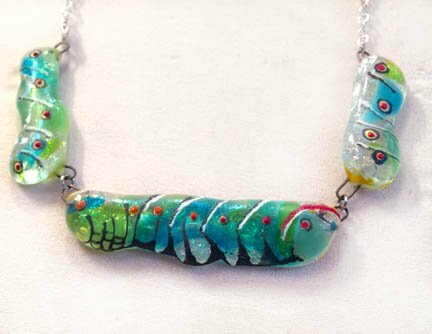 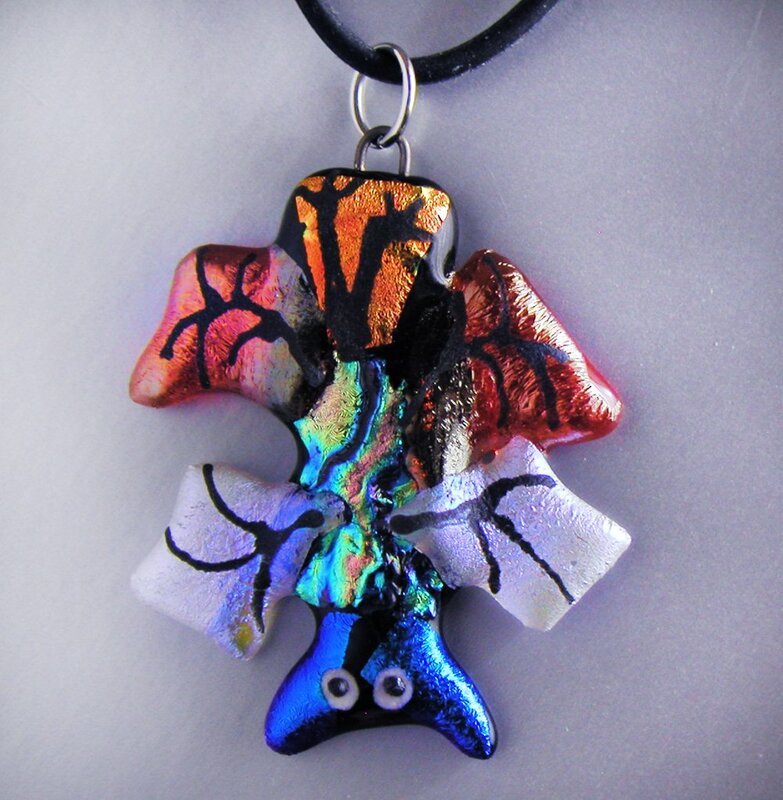 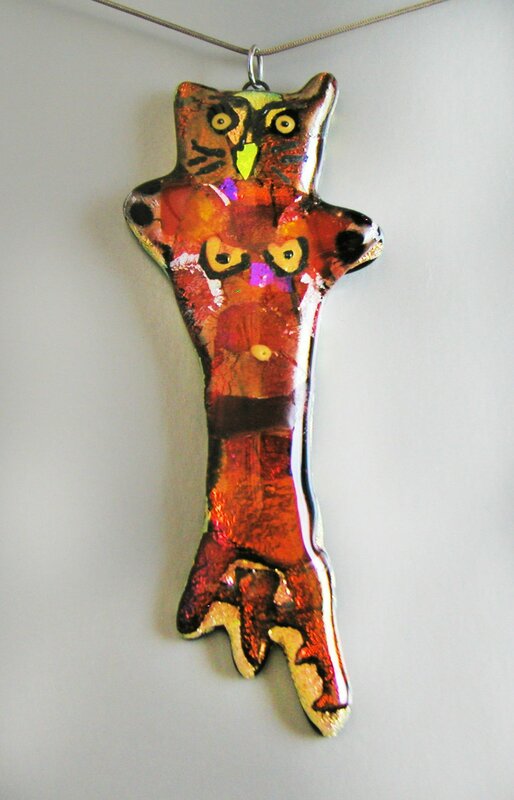 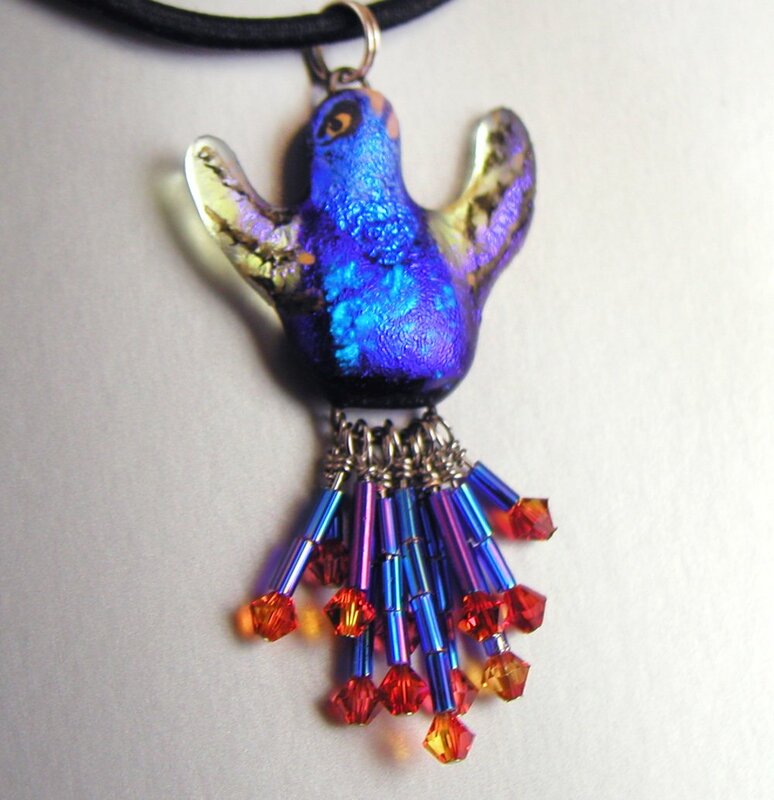 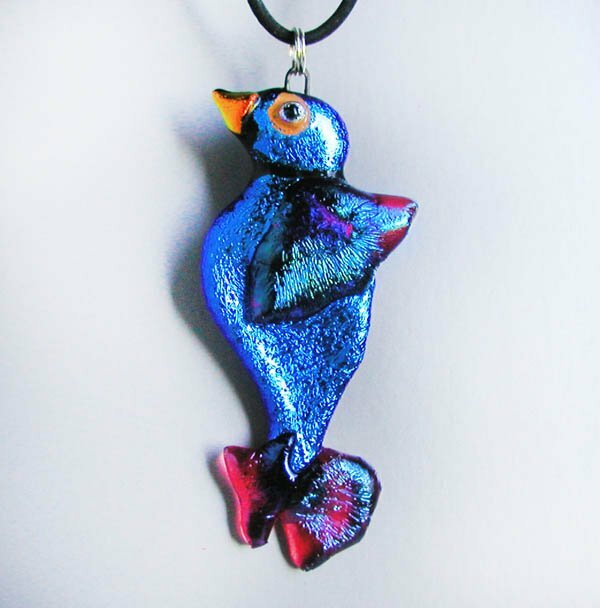 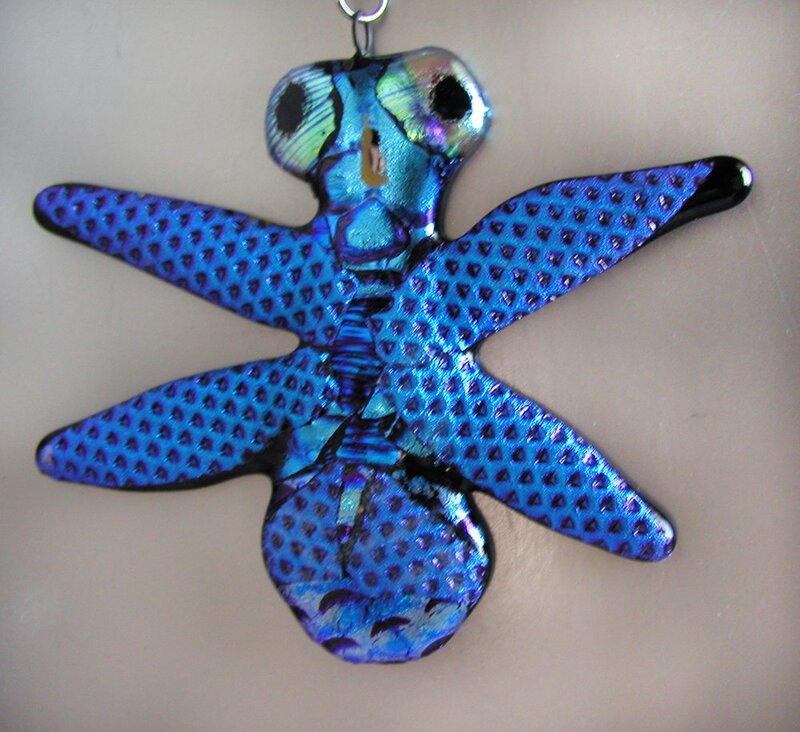 They are made from iridescent glass, and are unique, one-of-a-kind. 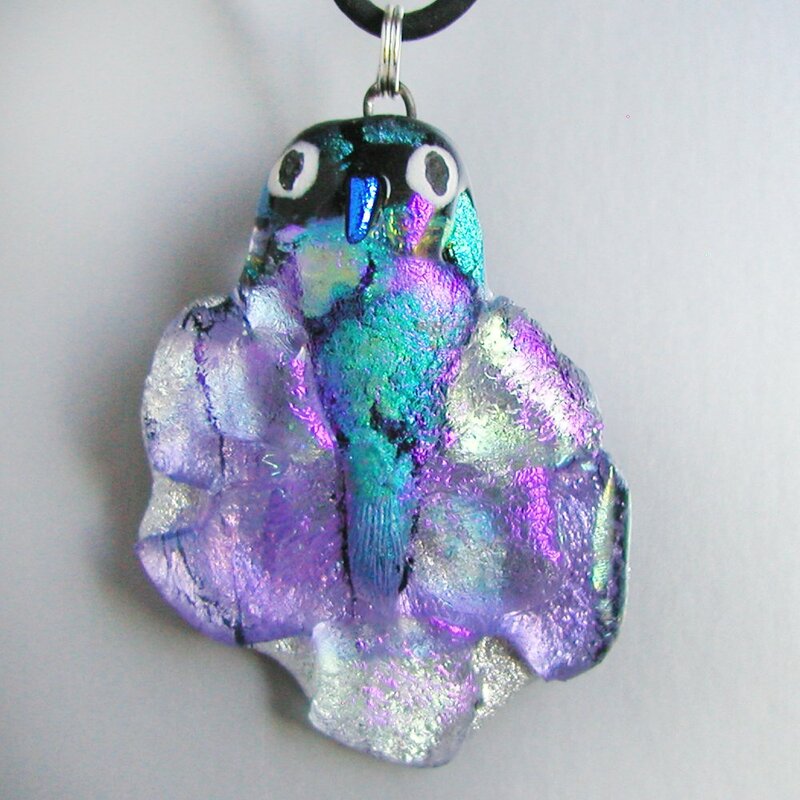 Usually about 2"x2" in size, hanging from an 18" Sterling Silver snake chain. 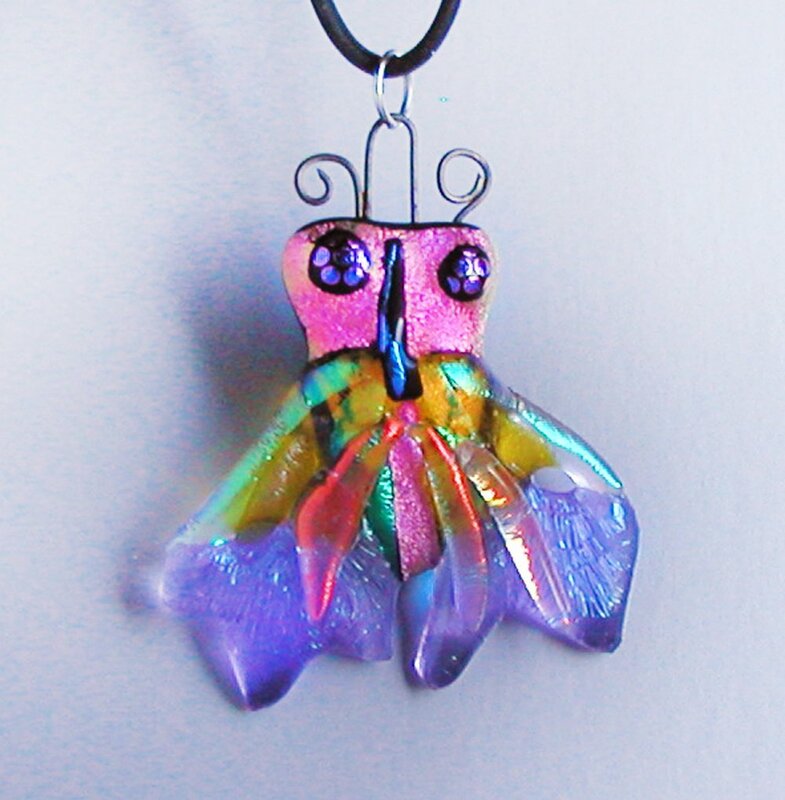 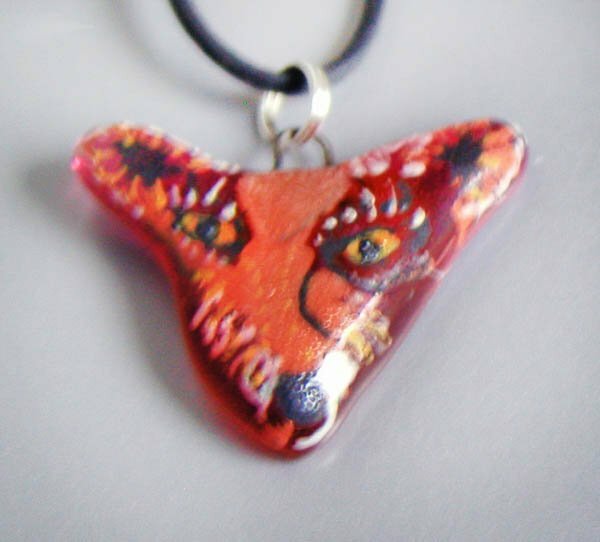 Prices include shipping via Priority Mail to the U.S.